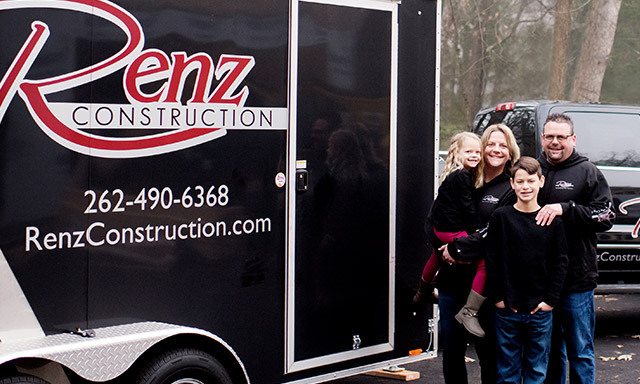 Greg and his wife, Wendy, founded Renz Construction in 2008 after working since 1991 in the carpentry trade. Greg’s love of carpentry and his passion for building inspired the new business, which, has quickly developed into a premier construction and contracting business in Lake Country. Wendy leads the office, continually communicating with clients, expediting jobs, and handling administration while Greg is at the work sites, working side-by-side with what he likes to call his A-Team, focusing on traditional building techniques and quality craftsmanship. Greg was 12 years old when he first found his passion. He was sitting next to his father, also in the trade, riding in their work van on the way to the lumber yard. He looked over at his dad and realized he wanted to be just like him. At the time, he saw a respected man who knew a hard day’s work and knew how to be good to people and be good at what he does. 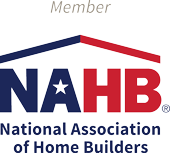 As Greg grew up in the trade, he wanted to continue the proud tradition of quality craftsmanship, building and remodeling homes to help families feel safe and comfortable. He wanted to give people quality work that they could be proud of, that would last generations, just like his father. As many know, a dream isn’t always easy to chase. 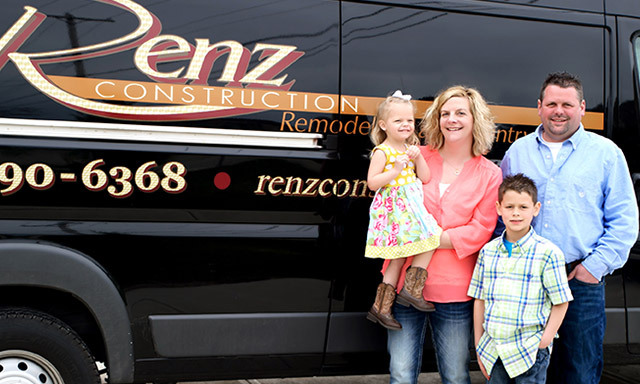 After working as a carpenter for 16 years, Greg and Wendy, an office manager at a local fire protection company at the time, set out to start Renz Construction. Their first years in business, Greg was working around the clock, putting everything he had into their projects, while Wendy spent every possible moment working with vendors and developing processes to make contracting easier for their clients. Greg and Wendy learned everything they could about local vendors and subcontractors, giving up a social life to build their business. 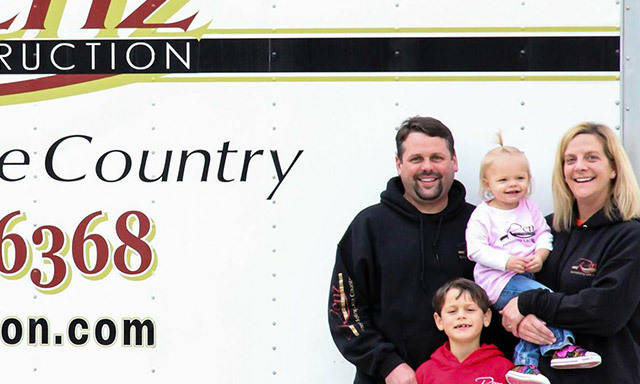 Through determination and dedication, Renz Construction made it safely through the 2009 recession, when so many others had not. 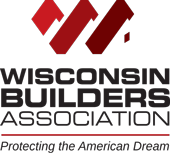 In the following years, Greg and Wendy narrowed down their list of subcontractors to the most trusted and local companies in the business. They strictly believe that any work done by their subcontractors (considered to be more a part of their team rather than outside companies) is a direct reflection of their own work. Greg and Wendy go through a rigorous vetting process to ensure every contractor and vendor they work with provides the same level of quality they built into Renz Construction. Passion for new projects and new challenges still drives their mission today. From humble beginnings in window installations and small-scale remodels for bathrooms and kitchens, to their recent luxury lake home projects, Greg and Wendy have always kept one thing in mind: providing the very best quality with the very best service. Their business is built on word of mouth and their clients quickly become friends. This is more than a business for Greg and Wendy, it’s who they are.